Want to gain control of your heart health? Rely on First Coast Heart for the most advanced heart care. Vein Care, Electrophysiology and Cardiac Imaging. St. Johns, Flagler, and Clay counties. offered by First Coast Heart. First Coast Heart & Vascular Center is a comprehensive cardiology practice that provides contemporary, evidence-based and compassionate care to our patients. At First Coast Heart & Vascular Center, our cardiologists have trained at some of the world’s best institutions including Harvard, The Cleveland Clinic, Cornell University, University of California – San Francisco Medical Center and Emory University. We are committed to excellence in patient care by actively participating in regional and national meetings. We are dedicated to improving the level of cardiovascular care available to our patients by participating in clinical national research trials, allowing us to offer our patients quality care through new and emerging technologies. 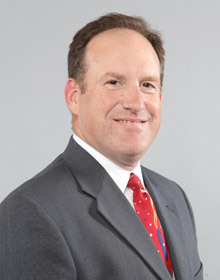 Dr. Van Crisco is an outstanding interventional cardiologist. He placed three stents in my coronary arteries during my heart attack. Following an immediate (stem code) and superb pre-op in the emergency room at Flagler Hospital in Saint Augustine, FL, he immediately performed the surgery and I was moved to post-op recovery in less than an hour. He skillfully explained what I had just been through, leaving me with the highest sense of gratitude for him and the hospital staff. I once changed my insurance just so I could continue going to Dr. Gayle Martin for Cardiology care. She is gentle, knowledgeable, and she does not hurry me, allowing me to ask questions. I have been going to her for many years. She is great! I was advised some years ago as my mother was dying of heart failure to see a cardiologist. My General Practitioner recommended Dr. Michael Koren, and I couldn’t be happier. He is thorough, responsive, and looking for the long run health of his patient. Margaret is always responsive as well and puts the technical information in context for the layperson. I have responded well to the treatments and am very secure in my ongoing health thanks to these professionals. 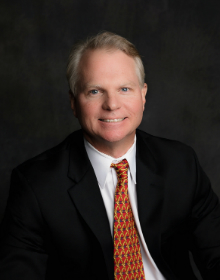 Dr. Christopher Edwards is an excellent doctor, friendly and knowledgeable. The is very timely to get you in and out. 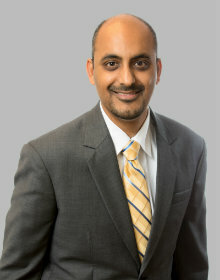 He pays attention to concerns of his patients and is thorough in finding problems. I recently changed my Cardiologist to Dr. David Grech and it was one of the best decisions I have made. My first visit with him was very comfortable and he put me at ease with his demeanor and bedside manner. He has excellent communication skills–he did not talk down to me since my level of medical knowledge is much smaller than his. He is pleasant and very professional. I didn’t feel pressured that he needed to move on to his next patient. He took up the time with me that I needed to understand and digest my health, diagnosis and his plan for my future care. Dr. Kevin Hayes is phenomenal. I can’t say enough about his kind and reassuring bedside manner. He is very encouraging in helping you plan for your future health needs. I would recommend him to anyone who needs a cardiologist. 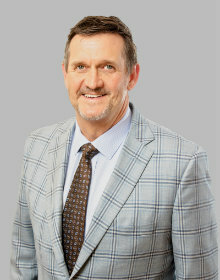 If you need a great cardiologist make an appointment with Dr. Kevin Hayes. Dr. Punita Kaveti is wonderful. Saw her today and she really takes the time with you and listens and explains thing so well. Outstanding physician and human being! My husband was reluctant to switch to Dr. Dinesh Pubbi’s practice. Now, he is extremely thankful that he did!!!!! Dr. Pubbi has seen him through CHF, kidney failure, and arrhythmia. Dr. Pubbi performed an ablation and my Hubby is feeling great! Dr. Pubbi also takes care of my Mom and my sister. I am very thankful for this man. He has been a Godsend to our family! 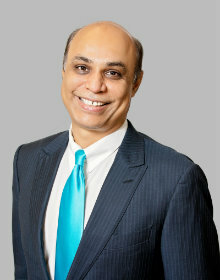 Dr. Neil Sanghvi was recommended to me by my cardiologist in Chicago. I will not change doctors and hope he never moves! I trust him, test results are explained in a way that are easy to understand. His office is easy to work with, consultations, questions with PA’S, changing appointments, its all easy. 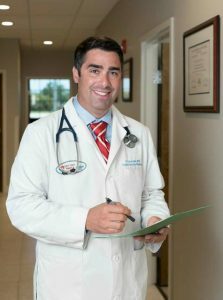 Dr. Vincent Caracciolo is an amazing Cardiologist in St. Augustine. His notes for each visit not only reflect the concerns I’ve shared with him as his patient (meaning he listens to me! ), but his professional opinion/recommendations and our treatment plan are all so well documented! He takes time to explain what is happening with regard to my heart and my medications, as well as the purpose they serve. He’s empathetic about the emotional impact my heart attack has made on me and does not minimize that just because it happened almost 6 years ago (to me, it’s like it happened yesterday and I’m still scared). I’ve already recommended several people to Dr. Caracciolo. and will continue to do so. I don’t know how he does amazing so well, but he does!! I am extremely thankful to have found him. After having experienced a life-threatening event, such as my heart attack (‘widow-maker’ 100% occlusion in LAD), trust and confidence in my doctor is paramount. I’ve struggled for two years transitioning my medical to Florida and Dr. Caracciolo. has been nothing short of awesome, from the first day I met him up to my last visit. He brings his ‘A’ game every time. I trust him and I believe in him. Dr. Van Crisco put a successful stent in my heart after other doctor’s said it couldn’t be done! He is the best you can get for heart surgeries. Very straight forward, thorough and reassuring. Dr. Gayle Martin is caring and did an excellent examination. She did a complete review of my medical history. She had answers to all my questions. Dr. Martin is a true pro with lots of experience. GREAT CARDIOLOGIST! 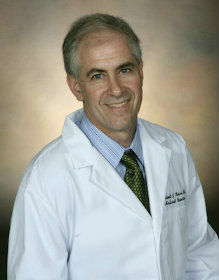 Dr. Michael Koren is the BEST Cardiologist you can have. He’s compassionate about his patients. He treats all his patients with the same Love, Care, Kindness, Respect, and, PASSION!!! Most Doctors don’t listen to you, the way you want them to, but Dr. Koren Listens to Every Single Word You Say! He will fix your problem if it takes him a lifetime. EXTREMELY PATIENT and THOROUGH! I’ve been with Dr. Koren since 2004, and he is still the same. I CAN HONESTLY SAY HE IS THE BEST!!! HE CARES ABOUT HIS PATIENTS!!! TRULY CARES! 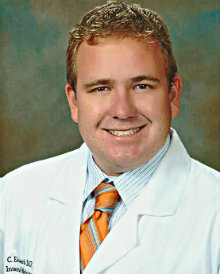 Dr. Christopher Edwards is a caring cardiologist. At my initial visit he took the time to hear me, to understand my concerns, he was instrumental in catching a blockage and treatment plan was put into effect. Dr. Van Crisco performed my surgery. Best team of doctors ever. Dr. David Grech is simply an outstanding Cardiologist. Great bedside manner, and easy to talk with. He helps you understand everything, is able to communicate well, and a great Health Partner! 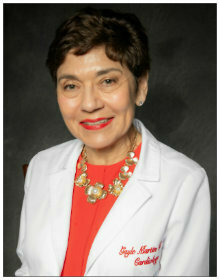 I’ve worked in health care for 35 years, and would highly recommend Dr. Grech! Dr. Kevin Hayes is a wonderful Cardiologist; he makes you feel calm he also explains everything he does yo you so you have full understanding. His staff is also friendly and very helpful very knowledgeable of everything. Dr. Vincent Caracciolo is very personable. He seems to be very understanding and compassionate about his profession as a Cardiologist. I recently had open heart surgery for mitral valve prolapse and he was thorough and helpful in assisting me to make this life changing decision. 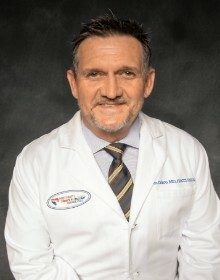 I am sure to recommend Dr Caracciolo (Dr. C) to anyone who would be looking for an excellent Cardiologist. 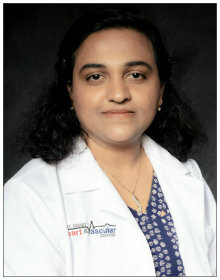 After moving to the Jacksonville area, I needed to find a new cardiologist who specialized in electrophysiology. 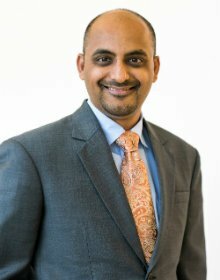 After researching cardiologists on line, education, background, and other patient’s reviews , I fortunately settled with Dr. Neil Sanghvi. I’ve been with him for about a year and a half. Very satisfied, no complaints. I would recommend him to my friends and family. Dr. Dinesh Pubbi is the best! He is so good when I started seeing him in 2008 my heart was pumping only at 24% now he has it at 42% I’m feeling better then I I have in a long time. He is the best thank you for all you have done and doing for me and my family. Dr. Dinesh Pubbi is the best! 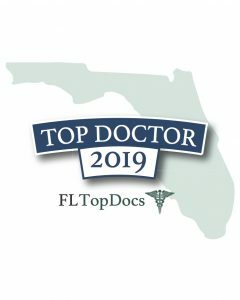 Dr. Michael Koren and Margaret Gannaway, ARNP are the best in Northeast Florida. Been with them for 20 years and travel about 40 miles one-way to see them. Would not think of changing to a doctor closer to my home. 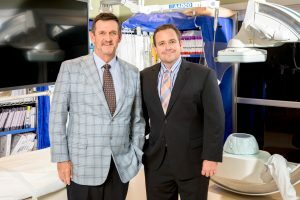 First Coast Heart & Vascular Center in Jacksonville, Florida, proudly serves patients in Northeast Florida counties (Duval, Clay, St. Johns, Flagler) and the following cities: Jacksonville, Jax, Jacksonville Beach, Neptune Beach, Atlantic Beach, Mayport, Ponte Vedra Beach, Nocatee, Vilano Beach, St. Johns, Flagler Beach, Fernandina Beach, Amelia Island, St. Augustine, St. Augustine Beach, Golf World, Orange Park, Hilliard, Yulee, Callahan, Macclenny, Baldwin Middleburg, Keystone Heights, Green Cove Springs, Palatka, Palm Coast, Daytona, Gainesville, and Lake City.